When Dee Emon was promoted to the CIO role at Wake Forest Baptist Health in 2014, it was the first time she held that particular title — but she was no stranger to IT. In fact, Emon — a nurse by training — had spent the past decade with “one foot on each side of the fence.” As a result, she was able to bring to the CIO role an understanding of IT’s role in supporting patient care, something she’s always worked hard to convey to her team. 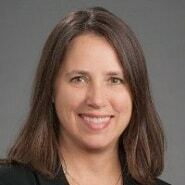 In this interview, Emon talks about the toughest and most rewarding parts of being a CIO, how she has benefited from her experience in quality and performance improvement, and the work her team is doing with patient engagement and population health. She discusses the importance of building a strong network, how she has made cybersecurity education a priority, and what it’s like to work with Chad Eckes. We’ve moved to a data lake strategy where we’re able to bring in large sets of data, including a lot of genomic and genetic information for our researchers. This allows us to bring that information in an unstructured format, which is different than the way an enterprise data warehouse works. It’s been a great opportunity for us to broaden the lens of where patients are receiving care and how to best meet their care needs as we can look out into the broader community and start partnering with other healthcare systems. We are really focusing on not just the patient themselves, but the extended family. How do we, especially for the aging population, ensure that family members are also able to engage with the care providers where appropriate to bring up concerns or work through issues that they may be seeing with their loved ones? We’re starting to see that pop up again with more concierge, personalized medicine where providers are extending into patients’ homes. I think it’s a great way to see them in their home environment and understand comprehensively what’s going on with the patient. Gamble: Hi Dee, thank you so much for taking some time to speak with us today. Emon: Thank you, I’m happy to be here. Gamble: To get started, can you give an overview about Wake Forest Baptist Health — what you have in terms of facilities, bed size, and some information about the area? Emon: Sure. Wake Forest Baptist is an integrated academic medical center in Winston-Salem, North Carolina. We’re located about an hour and a half west of the Raleigh-Durham area. From a facility standpoint, we have three hospitals in our system, with the fourth that will be coming online this July. We have about $2.6 billion in budgeted revenue. In terms of bed size, we run about 1,200 staffed inpatient beds throughout our enterprise, and we have about 300 ambulatory clinics and outreach centers at this point. From a faculty and physician standpoint, we have close to 2,300 in total right now, and that continues to grow. Our total employee base is about 14,000. We do about 44,000 discharges annually — about the same in surgeries, and we run about 160,000 ED visits throughout our enterprise every year. Gamble: Do you serve a pretty large geographic area? Emon: We do. We serve about 2.5 million residents, and on the ambulatory side, we have about 1.25 million patient visits a year. So we do cover a large catchment area. Gamble: And you said there’s a fourth hospital going live in July? Emon: Correct. We have acquired a number of organizations over the past 12 months, and one of them is a community hospital about an hour west of where we are today. Gamble: Now, for the hospitals that are currently with the system, everything is on Epic at this point? Emon: That’s correct. 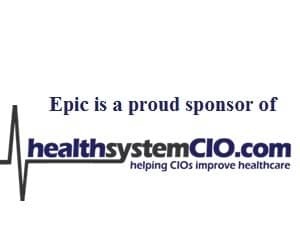 We run Epic as our enterprise standard EHR in all of our hospitals as well as all of our ambulatory locations. Gamble: Will the community hospital have to be brought up on that? Emon: Absolutely. When we close on that acquisition, we will actually be putting them on Epic and all of our enterprise standard systems. Emon: It is. Lots of work, but nice to have them as part of the EHR. It allows us to really focus on ensuring there’s a lot of transparency as patients are moving throughout our system. We prefer that when we onboard a new location, that we get Epic installed on day one so the providers have access to all of that information. Gamble: Are you using it for pretty much for all the modules, or at least most of them at this point? Emon: Yes. I would have to say 90 percent of all of our care is now on the Epic platform. We do have a couple areas where we are still building out some of the specialty areas like ophthalmology and transplant but by and large, we are Epic through and through. Gamble: What about for as far as the enterprise data warehouse — what does that picture look like? Emon: We have a multi-tiered strategy. Because of our large research component, we’ve taken a different approach to data warehousing, and data management in general. We have traditional enterprise data warehouse that’s been here at Wake for a number of years, but more recently we’ve moved to a data lake strategy where we’re able to bring in large sets of data, including a lot of genomic and genetic information for our researchers. The data lake allows them to bring that information in an unstructured format, which is different than the way that an enterprise data warehouse works. It allows us to bring in large data sets, and then we have big data capabilities over the top of that for processing. From an analytics standpoint, the data lake is our main structure that we’re using right now to really accelerate innovation and clinical research at Wake Forest. Gamble: That makes sense, especially when you said you’re talking about the research component and the sheer amount of data that you have to be dealing with. Emon: Absolutely. Having big data capabilities from a processing standpoint allows the researchers to run analytics and get the results much faster than in a traditional EDW environment. Gamble: What are some of the ways in which analytics are being leveraged? Emon: I would have to say the research side is the primary area where our data scientists and researchers are really looking at different things like population health management, risk stratification, and quality. And then getting more into the genetic and genomic front, we’re looking at how do we use that information to develop novel therapies for a lot of our clinical marquee programs like cancer and our aging programs. Gamble: It sounds like you’re doing a lot of cutting edge work on that front. Emon: Yes. We were awarded a CTSA grant last year. In addition to that, we’re an NCI-designated facility, so we do a lot of grant work in the research. Through our Regenerative Medicine program. We have a contract with the Armed Services, and we are doing some work around novel treatments in burn regeneration and things of that nature. Gamble: I imagine that can be a useful recruiting tool. Emon: Actually, we do have quite a few faculty and even students and residents that come here because of the innovation that Wake Forest is known for. We actually developed the wound VAC a number of years ago, which is now a mainstay in clinical care for treating wounds. So we do have a big draw from faculty research and even residents and students who come here because of the innovation that we support. Gamble: Now I know you briefly mentioned population health before, is that something that’s a strategy right now; are you kind of working towards it? Emon: Absolutely. For the past year and a half to two years, we’ve had a strong focus on population health. Internal to Wake Forest, we use Epic Healthy Planet as our system for really driving population health and care management strategies. We also are participant in a much larger ACO and clinically integrated network, so all of our data actually is fed over into that larger group effort as we look at population health in the triad area here around Winston-Salem. So we have both an internal strategy as well as the collaborative strategy across the ACO and CIN that we’re executing on. Gamble: And that includes other health systems? Emon: Yes. We have, I believe, six right now that are participating in our CIN, and all of them participate in the ACO as well. Again, it’s been one of those opportunities when we look at activity that’s going on outside of Wake Forest. Because our patients move in and out of different health systems depending on where they’re located, it’s been a great opportunity for us to broaden the lens of where patients are receiving care and how to best meet their care needs as we can look out into the broader community and start partnering with other healthcare systems that are also working toward population health, and really delivering a seamless episode of care to a patient versus just that episodic care that we’ve historically looked at. Gamble: That’s really exciting. With this ACO, are there different pilots going on, or are you trying to tackle one maybe disease state or population at a time? Emon: We have a number of different initiatives that we’re looking at, both internally and then across the broader CIN. By and large, we’re focused on probably some of the same things other healthcare organizations are looking at — things tied to MIPS and MACRA, readmission rates, improving quality, closing gaps, and preventative care. On the disease front, we’re spending a lot of time focusing on chronic conditions like congestive heart failure, COPD, and diabetes. Those are probably our top three that we’re focused on today. Gamble: In terms of patient engagement, what sort of work are you doing there? That’s an interesting area because even in the last year or so, we’d hear people talk about portals, but now it’s really gone beyond that, which is a step in the right direction. Emon: Right. Obviously, the patient portal is kind of the mainstay when you talk about patient engagement. But to your point, we are looking well beyond just the portal interaction between the patient and the care providers. We are starting to branch out with a full telemedicine program. Wake Forest has had a very strong stroke program that’s been in the market for quite some time, about 10 or 11 years. But now, we’ve deployed video visits and e-visits, so it’s more of that concept of how do we reach the patient without them having to come to one of our centers for care, and do that in a way that’s least disruptive into patient’s life? We are starting to do more remote monitoring for patients that are discharged from the hospital; again, trying to intervene at points in their care based on more of a coaching strategy and trying to get patients to focus more on healthy living versus waiting for an acute crisis where they’re historically have been engaging with the care provider. So it’s much more proactive management through things like telemedicine and home monitoring. In addition to that, we are really focusing on not just the patient themselves, but the extended family. How do we, especially for the aging population, ensure that family members are also able to engage with the care providers where appropriate to bring up concerns or work through issues that they may be seeing with their loved ones, versus just the traditional doctor-to-patients engagement. Gamble: That’s really interesting. We’re starting to hear organizations talk about going into other realms like churches and things like that to try to reach patients. Emon: We also have a large group in our Faith Health department that does community outreach. It’s focused on what are the support mechanisms that patients use in their communities and how do we better engage, whether that’s setting up blood pressure clinics in those areas, or when people are transitioning out of the hospital, using support services in the community that the patient is currently engaged with to help support them and ensure that their recovery. Or if they have a chronic condition, making sure they are supported to a point where if something is going on, we’re able to intervene earlier prior to a patient ending up in an emergency department. Gamble: That really seems to have picking up speed and hopefully will continue to evolve as far as how patients are reached and how they can engage with the systems. Emon: It’s been an interesting evolution. When you think back 30 years ago — or probably a little longer — doctors actually went to see people at their house, and we’re starting to see that pop up again with more concierge, personalized medicine where providers are extending out back into patients’ homes. I think it’s a great way to see them in their home environment and understand comprehensively what’s going on with the patient. I think it’s going to be a balance of being able to afford to do that versus having patients come to the doctor’s office.